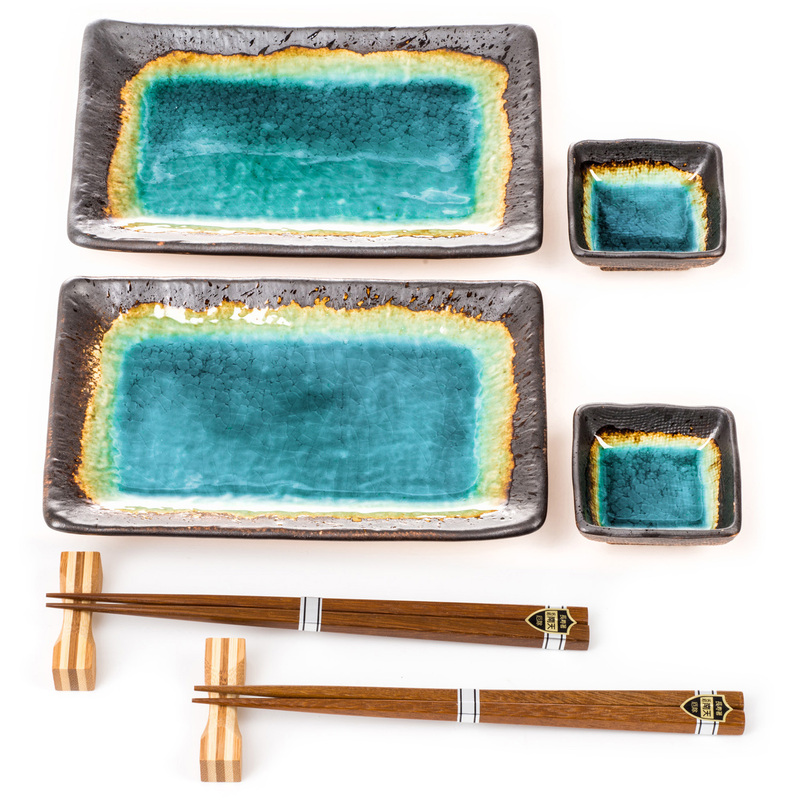 The Turquoise Crackleglaze Sushi Plate Set contains 2 stunning Japanese sushi plates, 2 matching sauce dishes, 2 wooden chopsticks and 2 wooden chopstick rests. 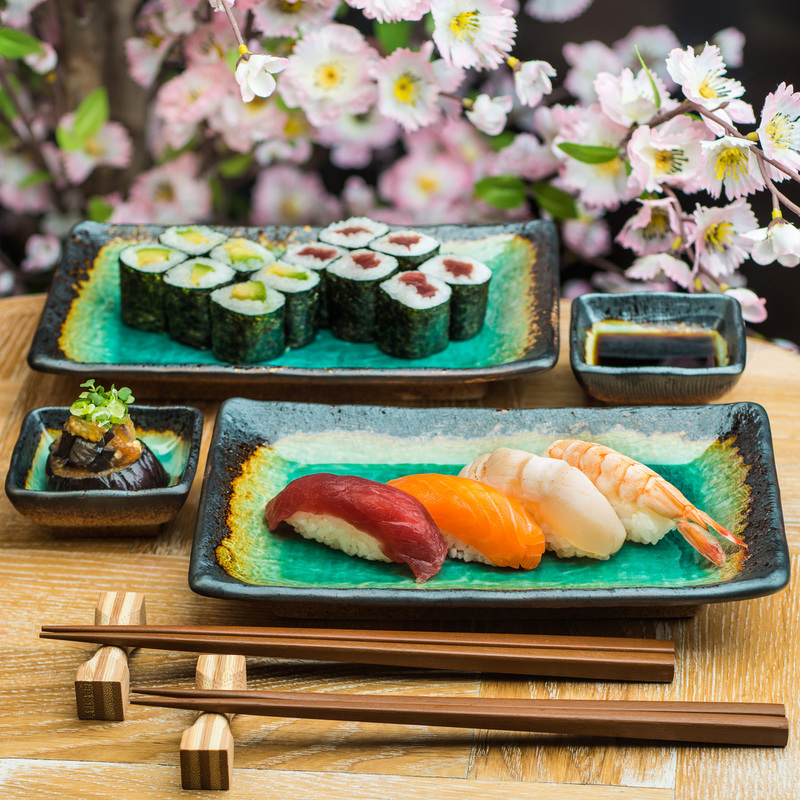 Exclusive to The Japanese Shop and made in Japan, this authentic Japanese plate set has a very distinctive turquoise crackleglaze and is ideal for a delicious sushi meal! 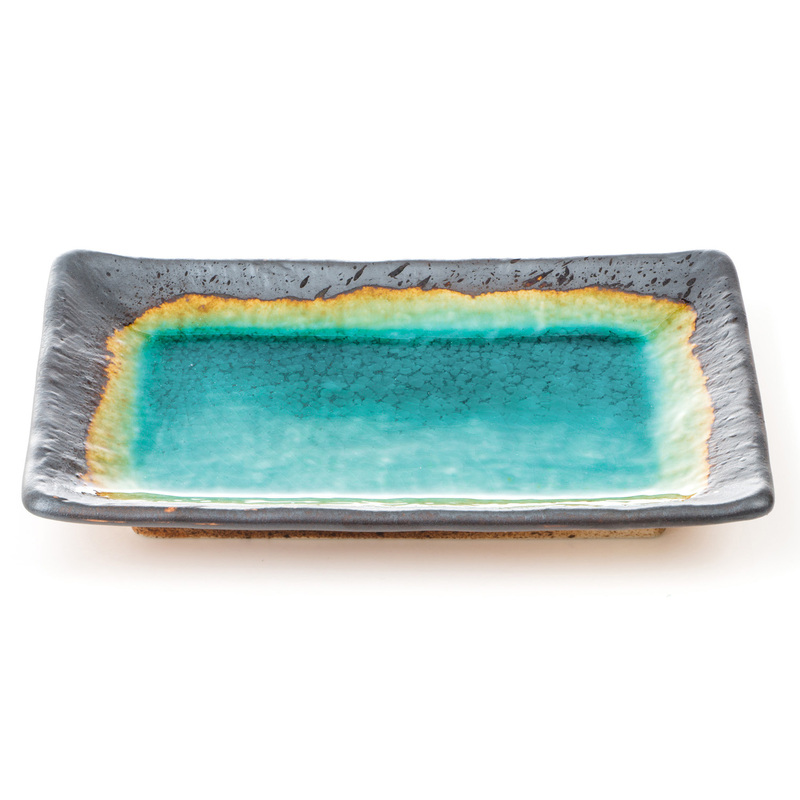 Whether you are looking for a gift for a loved one or a special treat for yourself, the Turquoise Crackleglaze Sushi Plate Set is perfect for modern, casual but stylish home dining! 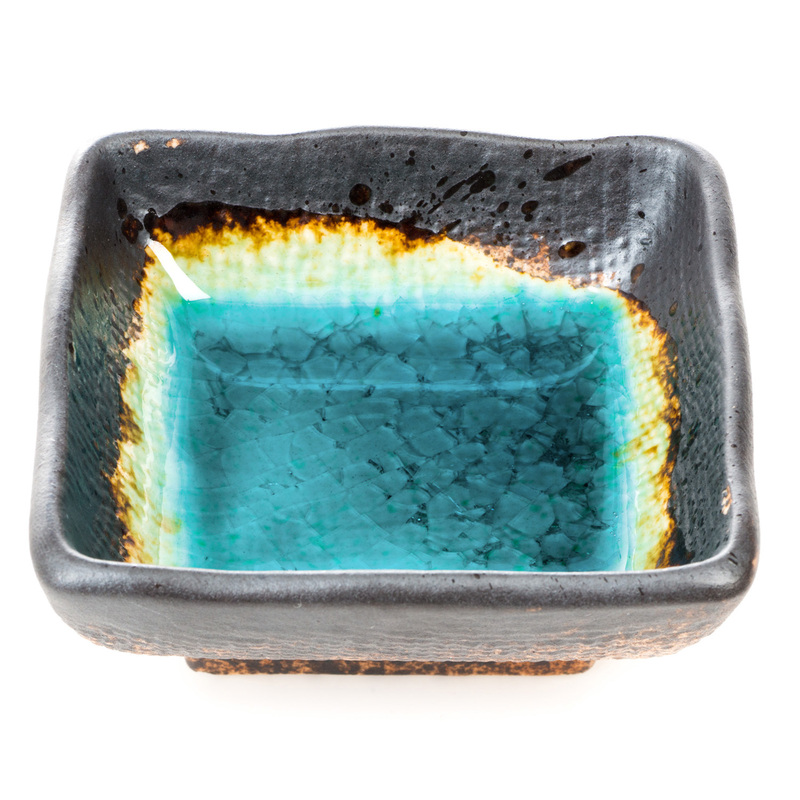 We recommend that you do not use in a dishwasher or microwave. 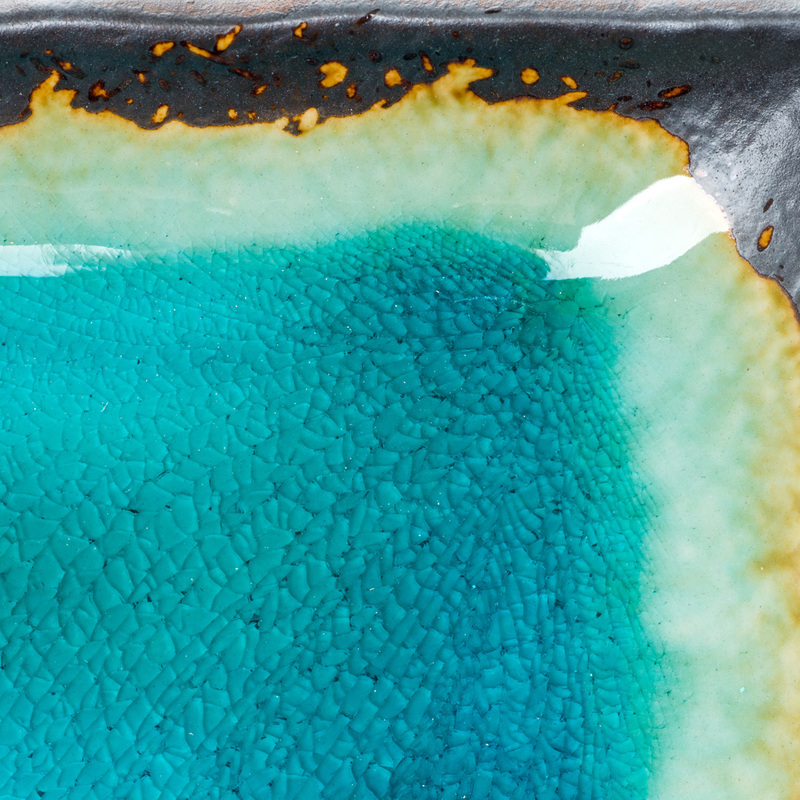 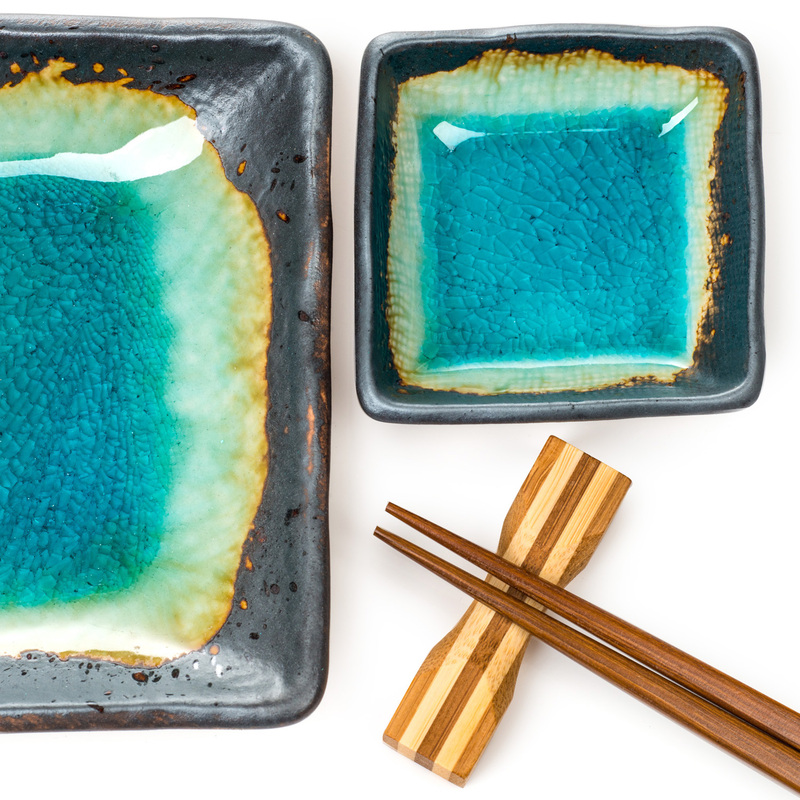 Order your Turquoise Crackleglaze Sushi Plate Sets online today and have them gift wrapped free of charge, or visit our showroom for this and more authentic Japanese sushi tableware!